Imagine a week without any new interesting data visualizations, a week when nobody published at least one piece of dataviz that would be worth seeing… No way! Nowadays, at the times when data visualization is clearly well on the rise, the number of charts being created and shared is only growing day by day. So we are likely to always have something out there to choose from for our Data Visualization Weekly series. Well, this is definitely a good thing! Nine charts and infographics for visually comparing North Korea to South Korea. Wealth inequality between black and white families in America. Murder rate on the rise in the US. Data visualization is one of those fields where knowledge of theory, of course, is very important but practice is basically everything. 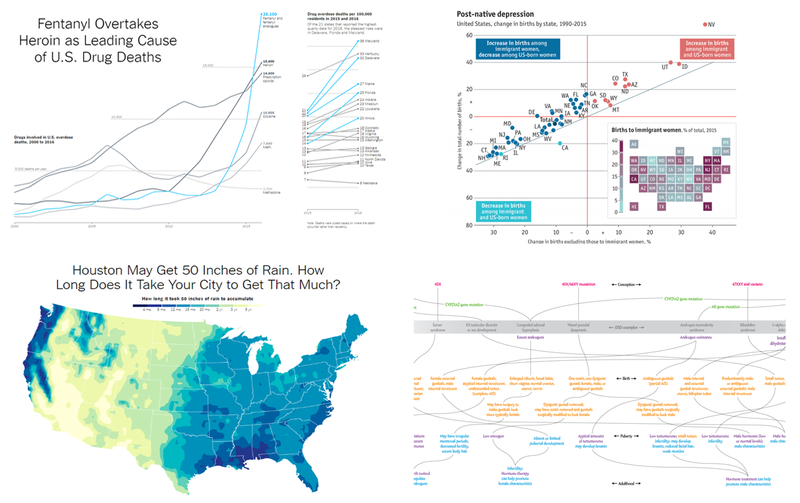 That’s why we keep sharing data visualization best practices and interesting examples every week to help you see how experienced data journalists and scientists make data speak and tell stories so you could learn from there and see what’s possible. Better trained doctors prescribe fewer opioids. Male and female jobs nowadays and since the middle of the 20th century. The English Premier League is wealthy in money but mediocre in football. 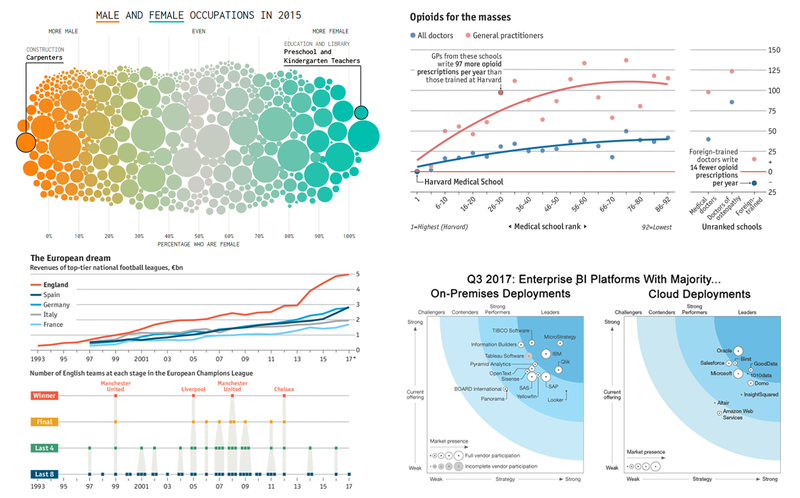 Enterprise BI platforms with majority cloud and on-premises deployments. Visualizing data is a great way to communicate it to people and ensure its better, more insightful perception. That’s why charts and dashboards have already become so widespread. 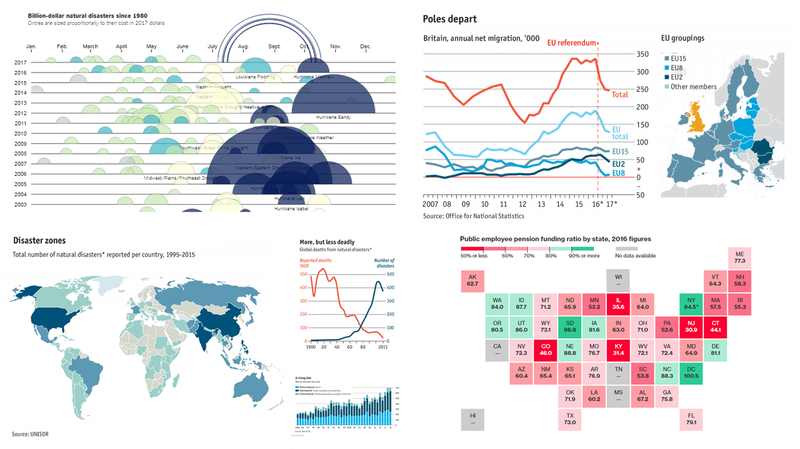 We continue the Data Visualization Weekly initiative to let you learn about new and interesting dataviz examples on a regular basis. This article showcases another four of them that might serve well for inspiration or simply help you get a better understanding of some facts and processes taking place out there in the world. Big Data has been growing exponentially as a very special segment in the core of today’s data analytics, with all the more organizations and companies collecting, visualizing, exploring and communicating large amounts of various kinds of data. 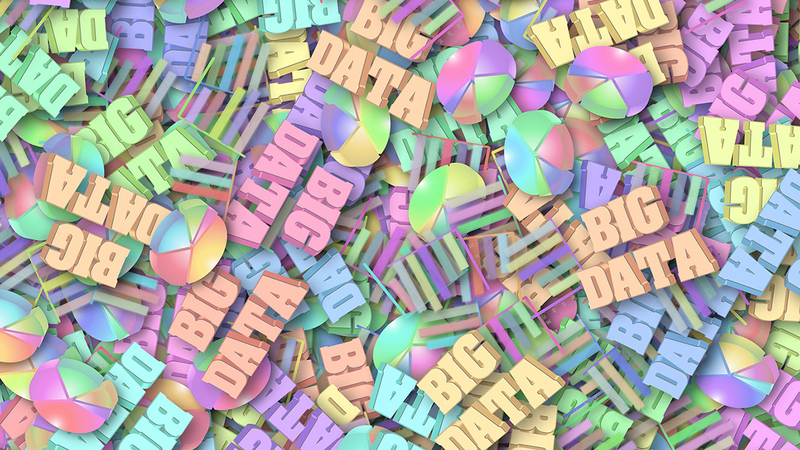 In this article, we will talk about notable big data trends that we see in and for 2017 and also take a quick look at some technologies being widely used in this field today. Surfing the Internet in search of new beautiful and peculiar data visualizations is indeed a very captivating activity. In fact, we are doing that literally all the time, looking for the best practices and inspiration that help us get an ever better understanding of the dataviz and further improve our data visualization solutions. And we are always glad to share with you some peculiar chart examples that we happen to find out there from time to time. Houston’s 50 inches of rain: How much is it for your city? Immigrant families boost the birth rate in the US. Fentanyl and other drug death data in the US visualized for 2000-2016. The presentation of data using graphical formats is a global trend. Many people, including us, love data visualization and the amazing creativity that it allows. Your dataviz projects don’t have to be typical and common, they need – at least sometimes and for some reason – to be something that is more unique as well as more captivating. A top notch graphical representation of data will comprise numerous creative elements that many viewers have never seen before. 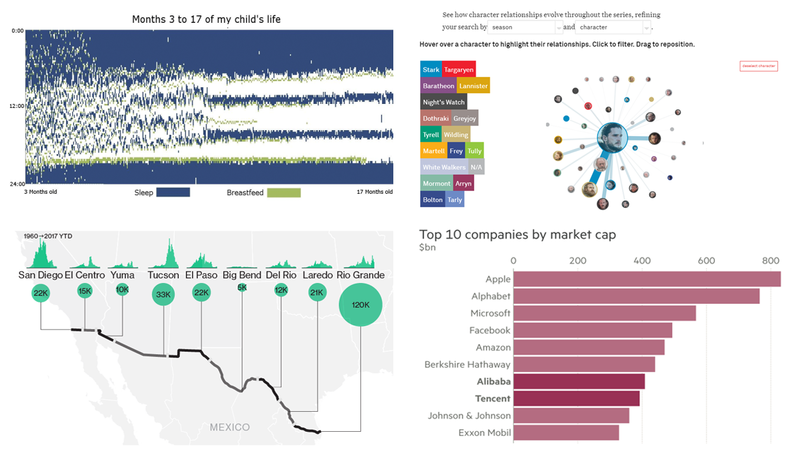 Nothing can make your dataviz project go viral more than creativity, so creative data visualization examples are the key to getting more viewership. 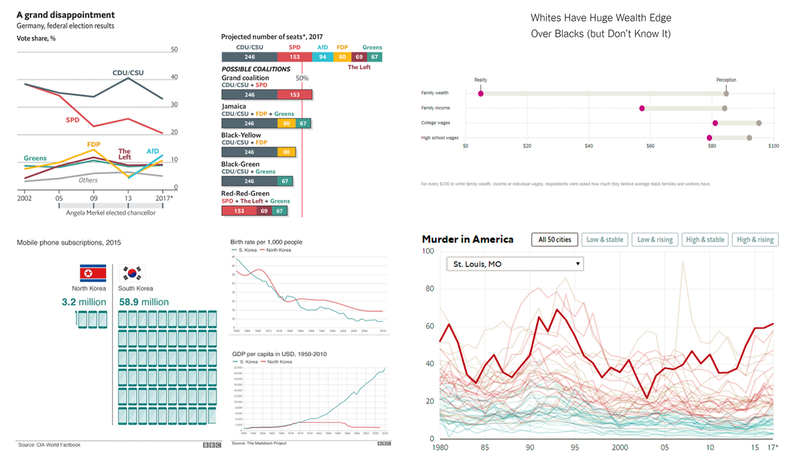 Below are a few of interesting data visualizations projects that we pulled from the Web. Check out how each data expert has applied creativity in their work.